Steven and his wife invited us (again) for dinner. When we reached their house, the meals were ready! I love cauliflower, but this the first time I had purple cauliflower (from organic-food store). 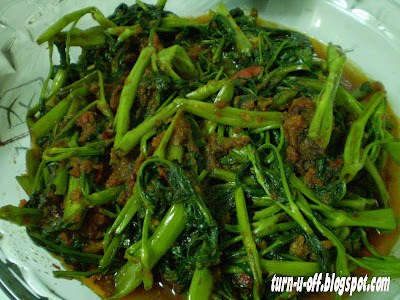 Kangkung belacan (water spinach with shrimp paste). 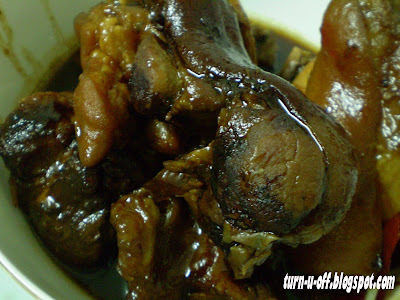 It has been a while since I had vinegar pork knuckles. Delicious; after all, it was the effort of just one person (Steven's wife)! After dinner, they opened a bottle of red wine and four of us danced chatted the night away. Btw, talking about food... I got a Feed The Hungry/ Wesak Day tag for you :) Thx! Sure! I'll get it done soon, thanks ;-) Enjoy your day! 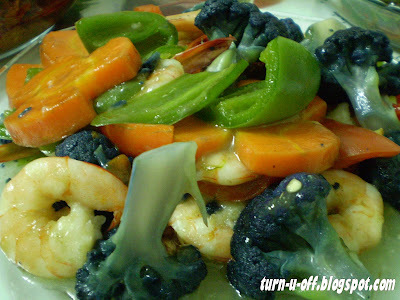 You should take down the recipe, one day you may want to cook it. Most important thing is, pass the recipe to me oh!! 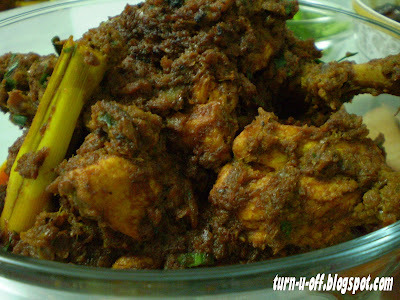 Your friend sure knows how to cook - God, oh my favourite dishes! !